With its cantilevered profile and clean modern lines, the Studio Counter Stool celebrates purity in form and function. 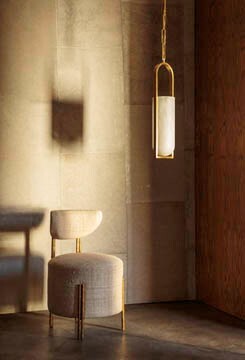 This stool features solid brass bar-stock in a Burnished Brass or Oil Rubbed Brass finish. The seat and backrest are available in a selection of curated fabrics and leathers.